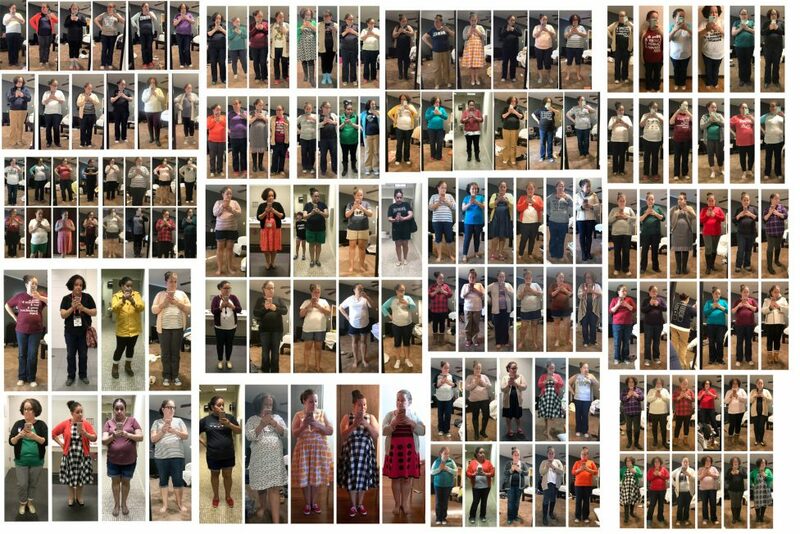 That is some random stitching together of outfit selfies up there, but the top row is Jan-April, and then the next row I started stacking months. May and June are under January, then July and August, then September and October, and then under April it’s November and December. What can I say, I have the flu. Stitching a collage together without Picasa was a challenge this year, but there it is. The whole of 2017 in selfies. This was a hard year nationally but a pretty great year personally, which was weird to reconcile. I’m going to do resolutions over the next couple of days when I’m feeling better, but I’m excited to see what 2018 brings. When 2017 began I had no idea I’d start working for The New York Times in the middle of it, so. There we are. We went to Mexico, Italy, and Greece. Adam’s traveled all over for work. I’ve barely quilted, but I did publish one quilt. I crafted some. And I’ve read more this year than I have in the last four years, which was huge. H’s in school full day, thriving in her kindergarten environment. She went to camp all summer. I didn’t make any resolutions this year, I just adopted a word for the year–“More.” think in some ways this word was perfect, and in other ways…I could still do more. Life is good, life is great. So, tomorrow I look to the next one.